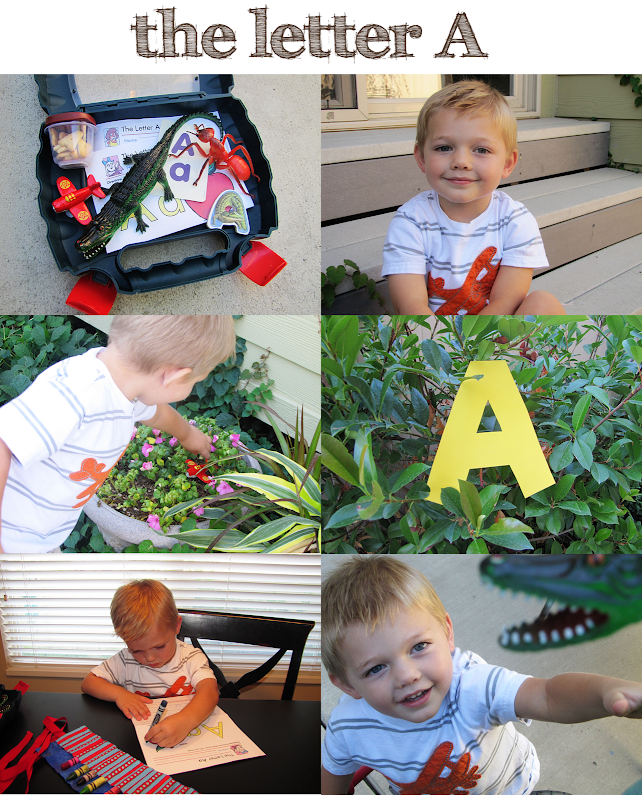 Bryson is old enough to start preschool, but I really wanted teach him at home his first year. take full advantage of it by spending as much time with him while I still can! We've had so much fun his first week of school! We've been spending one hour every day focusing on one new letter. My mom is a 2nd grade teacher and hooked me up with some great stuff from her school to help me teach him. Nonni also sent me home with a great set of learning tools, so I'm totally set. 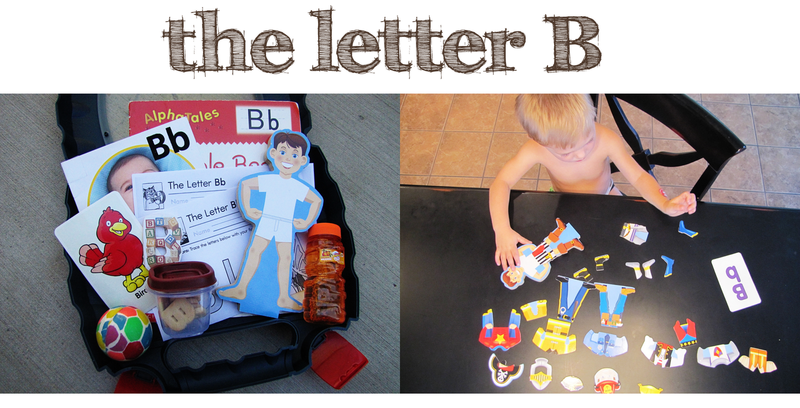 Each day I pack his little "school suitcase" full of all things pertaining to the letter of the day. Here's a look at what we've done this week. Click on each set of pictures below to get a better look! Practiced saying the short A sound while hopping around on the square tiles in the kitchen and by eating letter A cookies. Got on Hulu and learned about ants, alligators, and airplanes. Ate apples dipped in peanut butter. Practiced saying the B sound while bouncing a ball and eating letter B cookies. Read books about the letter B. Dressed a little boy doll we named Bryson in different uniforms. Got on Hulu and learned about bugs, bats, and birds. Practiced the C sound while we built towers with cups. 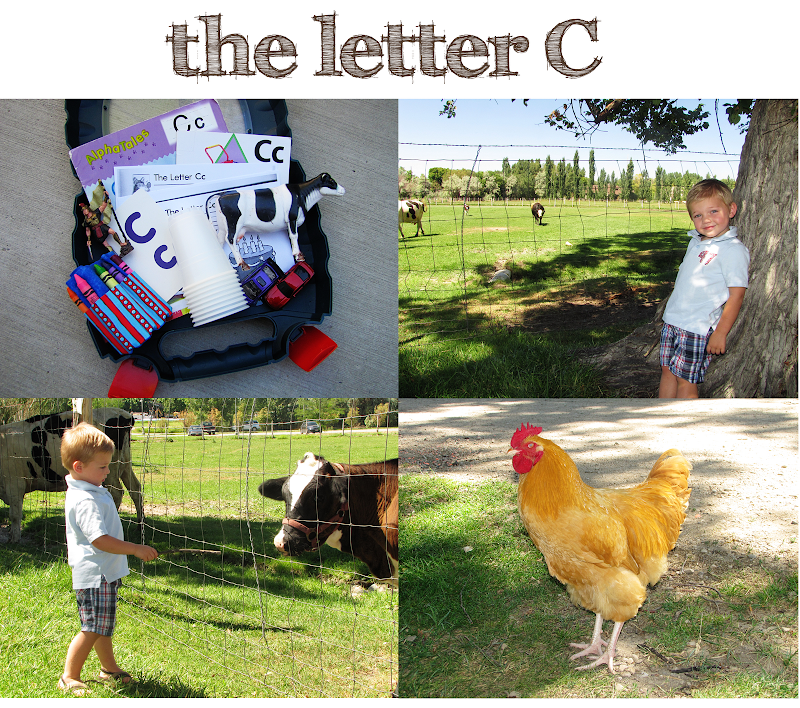 Read books about the letter C.
Walked to Wheeler Farm to look at cows and chickens. 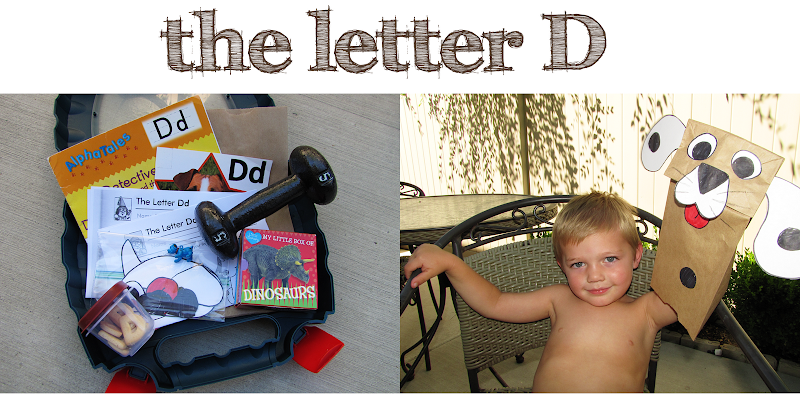 Practiced the D sound while we lifted dumbbells and ate letter D cookies. Read books about the letter D and about dinosaurs. Got on Hulu and learned about dinosaurs, ducks, and dogs. Made a paper sack puppet dog.